March 26th is one of the better singer's in the world's birthday. Steven Tyler from Aerosmith. He turns 67 and he does not look like it. He was born March 26th, 1948. The guy has more energy in his pinky than most people do in their whole body. 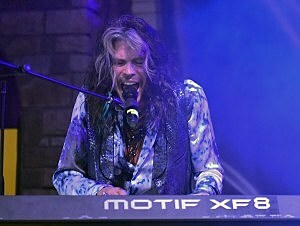 Steve Tyler is one of the most popular people in the world of music, From Aerosmith to American Idol to his daughters being a big deal as well. When he sings, his vocals make me sing out loud too. Happy Birthday Mr. Tyler! My favorite Steven Tyler vocals!